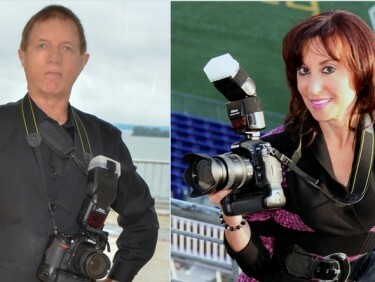 Sherri and Jerry Tybur are a husband and wife team that have been married for 20 years & have been in the business of professional photography and video services for over 15 years in the Maryland, DC., VA., and PA. areas. Along with holding a masters degree in photography and audio visual communications, they frequently attend seminars and workshops to remain educated on the latest in technology as well as the constant changes in trends and styles allowing them to combine their knowledge and expertise, along with YOUR own vision, to create the story of YOUR day. Although their prices are very affordable, you’ll always be provided with excellent, high quality work as well as outstanding personalized service. Read some great reviews on weddingwire, The Knot, Maryland Perfect Wedding Guide or Wedding 411. Stay connected with them through social media (Facebook) to get all the latest updates.